Today’s Real Wedding, shot by Jean-Pierre Uys Photography, will take your breath away with its style and elegance, not to mention the romantic and breathtaking South African scenery. On a perfectly warm and sunny day in October, Shelley and Nkululeko tied the knot at the MolenVliet Wine and Guest Estate in South Africa, surrounded by friends and family from across the globe. When asked what the most romantic moment of the joyful celebration was, Shelley couldn’t choose just one – “from the proposal in Spain, to going to bed with a new surname that night, and every moment in between, it was all romantic”. The bride chose a dramatic wedding gown from Malcolm Kluk and Christiaan Gabriel Du Toit, and canary yellow dresses by the same designer for her bridesmaids. A few modern fairytale details that we can’t get enough of – for an extra bit of luck Shelley attached a 1965 six-pence to her gorgeous Jimmy Choo wedding shoes, and then rode to the ceremony in style in a 1958 Bentley. During the ceremony her incredible five-meter-long veil even got its own moment in the sun, taking full advantage of a brief and sudden gust of wind, to delight the guests and spread its wings! Shelley and Nkululeko’s goal for their wedding was to savor every single moment. They were calm and relaxed throughout their big day, enjoying every last detail as they committed their lives to each other, surrounded by their family and friends, in this gorgeous natural setting. Can’t you just feel their joy and ease in these stunning portraits by Jean-Pierre Uys as they took time to themselves to walk throughout the vineyards? Using a wedding color palette of cream, gray-silver, off-white and black, Shelley and Nkululeko created an event that felt both sophisticated and relaxed. Mirrors, crystals and green foliage were used on the tabletops to accent the neutral colors, and there were plenty of candles and subdued sparkling lighting to set a romantic mood. The couple’s first dance was to Al Green’s “Let’s Stay Together“, and from the looks of joy and love on their faces, we have no doubt in our minds that’s exactly what these two will do! 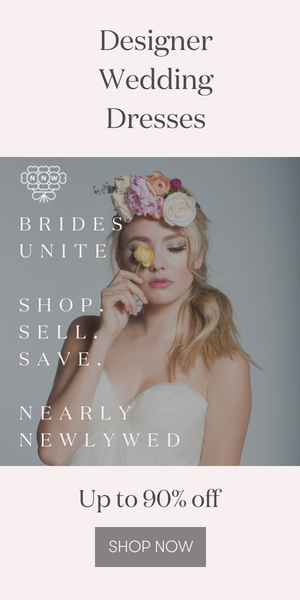 To learn more about this wedding and all of the businesses that contributed, be sure to visit our Real Weddings library! Thank you so much for sharing this incredible adventure with us Shelley and Nkululeko! It was so beautiful! Readers, for help planning a Seattle or Southern California wedding, don’t miss the trusted recommendations in our Plan Your Wedding hot list! Gorgeous couple! Gorgeous photos! love it. WOW!! I am so loving every little bit of detail of this wedding post. From the beautiful bride, the handsome groom and the gorgeous yellow gowns that the bridesmaid are wearing.. Simply Breathtaking! Amazing!! The vineyard and long table photos are breath taking! Thanks for sharing. Wow… this wedding is just WOW! They are so gorgeous, not to mention the backdrop, the styling, everything is just perfection. LOVE It! Thanks Junebug for creating an awesome post and the great write-up! Love your site and work! Nice post The images are too good. Thanks for sharing..
a stunning wedding … photos are beautifull …. Wow the bride is gorgeous! I also love the yellow brides maids dresses. Plus, the black and white outdoor photo is such a great shot of the bride and the groom celebrating with just each other. I’ve been lucky to travel to South Africa and these images are awesome! Great photography and very beautiful bride. Shelley and Nkululeko are beautiful to look at, the settings and scenery is gorgeous, and then the topper is Al Green for the first dance! Very impressive, I’d say. Amazing… every detail of this wedding was well thought out and beautifully executed. Awesome wedding guys!! Shelley & NK, you were amazing! It was an absolute pleasure hosting your special day! This takes my breath away. Sooooo stunning, the bride, the pictures, the venue, the decor. Everything! awesome – God bless the marriage.